Super Greens to the Rescue! Your search for a healthy (and delicious) restaurant is over! With a whole host of super green options on the STONEFIRE Grill menu, meeting your daily veggie intake is easier than ever. How do super greens benefit YOU? Not only do they taste great, but they’re also filled with healthy and essential nutrients that our bodies require. Rich in fiber, vitamins, minerals and antioxidants, they’re a meal component that can’t be missed at our healthy restaurants. 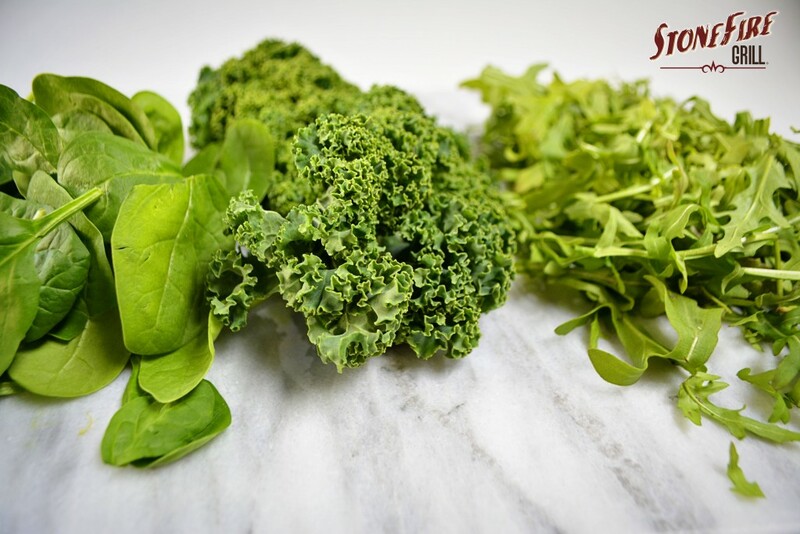 By incorporating a few portions of super greens into your daily diet, your body will benefit in multiple ways: boosted immune system, reduced inflammation, clearer skin and most importantly, more ENERGY! Who doesn’t need a little more of that?! Or, substitute YOUR salad include kale, spinach or arugula at no additional charge!